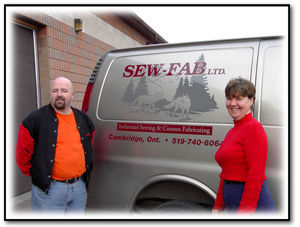 We have been a distributor for Wayne and Nancy at Sew-Fab Ltd. I would highly recommend Sew-Fab LTD. as a valued manufacturer. Sewfab is the best, most reasonably priced supplier for tirecovers, A/C covers and tireguards. Sewfab has been supplying quality covers to the automotive and R.V. industry since 1999. 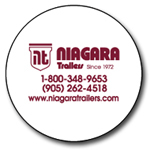 With a customer base of well over 500, we have become a major provider of tank and tire covers and R.V. accessories in Canada and the U.S. Our quality products and customer service have become the foundation for our success. Our commitment to quality and growth will ensure you get the best product and service available, always! textile sewing and manufacturing industry for over 25 years.